Applied Kinesiology is a diagnostic and treatment technique founded by Dr. George Goodheart in the 1960’s. It incorporates aspects of both chiropractic and acupuncture and falls within the category of alternative medicine in Rochester NY. As a chiropractic physician in Detroit, Dr. Goodheart discovered the importance of body posture as it relates to structure and function in the body. When observing a patient in a neutral standing posture such anomalies as a high unilateral shoulder or rotated hip were indicative of some stress in the body, be it was structural, chemical or emotional as stress can take on different forms. However through careful observation and deductive reasoning Dr Goodheart was able to map out many neurological circuits in the body to find hidden reasons for the cause of disease or imbalance. 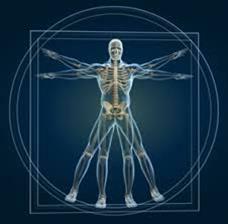 Since he was a chiropractor much of his work was in the area of skeletal structural. However his research also encompassed the other major eleven systems of the body such as circulation, digestion and the immune system. Such concepts as the vertebrae challenge and therapy localization are unique to Applied Kinesiology but are useful tools in finding the hidden cause of many diseases. In many ways Applied Kinesiology exemplifies the idea of alternative medicine Rochester NY community. A major part of the treatment protocol involves the use of muscle testing to look for weaknesses in the body. Since this is partial energetic in nature Applied Kinesiology has often been associated with Reike or other forms of touch healing where an individual’s energy plays a role. However, Applied Kinesiology also incorporates the acupuncture meridians, nutrition and cranial sacral work in diagnosing and performing a treatment. Over the years Applied Kinesiology has grown into a respected part of healing tradition making up alternative medicine Rochester NY area. The regulating body known as The International College Of Applied Kinesiology ( ICAK ) has members in all fifty states and 21 countries around the world. Seminars in the world are offered world wide and Applied Kinesiology services are offered through a variety of other disciplines such as psychologists and dentists. Chiropractic Health And Acupuncture has been serving the alternative medicine community in Rochester NY since 1983. Located in Penfield, NY the practice serves Fairport, Webster, Pittsford and the greater Rochester NY area. Contact us today for your free consultation. All you have to lose is your pain. Can Holistic Medicine in Rochester NY Help Hashimoto’s Thyroiditis Using Chinese Herbs?